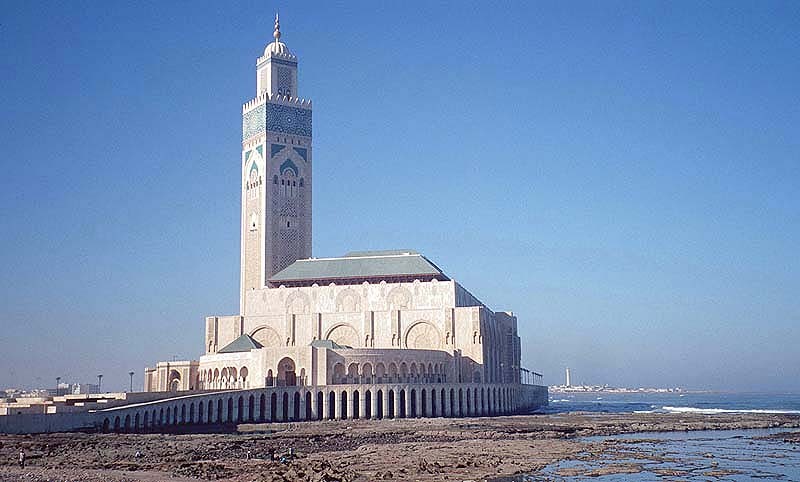 Casablanca city tour includes the old medina, Place Mohamed V, United Nations Square, the League of Arab States Park, and the magnificent Hassan II Mosque. Drive to Rabat. 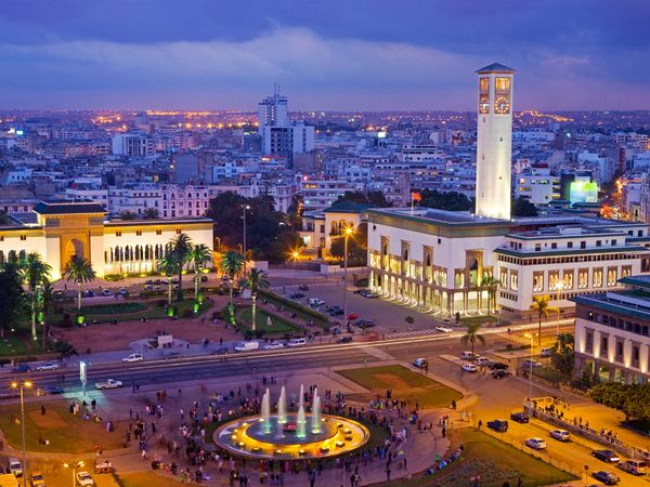 Sightseeing in this capital city includes the old Medina, the Kasbah of the Oudayas, the Oudaya Gate, the Hassan Tower, the Chellah, and the Mausoleum of Mohamed V. Drive to Meknes and see the old ramparts, the Agoudal Basin, the Moulay Ismail royal stables, Bab el Mansour and the Moulay Ismail Mausoleum. Continue to Fes. Sightseeing in Fes includes the old medina, including the 14th century religious schools Bou Inania and Attarine and the impressive labyrinth of souks. 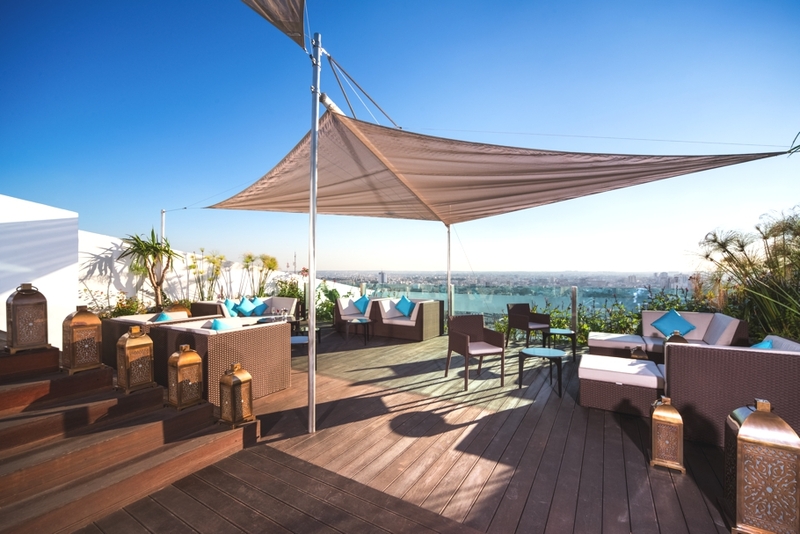 Visit modern Fes, including the famous potters' district and the Arts Museum of Batha. Drive to Rissani to view the Mausoleum of Moulay Ali Cherif from the outside and visit the Kasbah Ouled El Hadim. Return to Erfoud and visit the date market. Then drive through the beautiful 1,000 Kasbah Valley to El Kelaa des Mgouna, a center of rose cultivation. Continue to the film industry center at Ouarzazate. 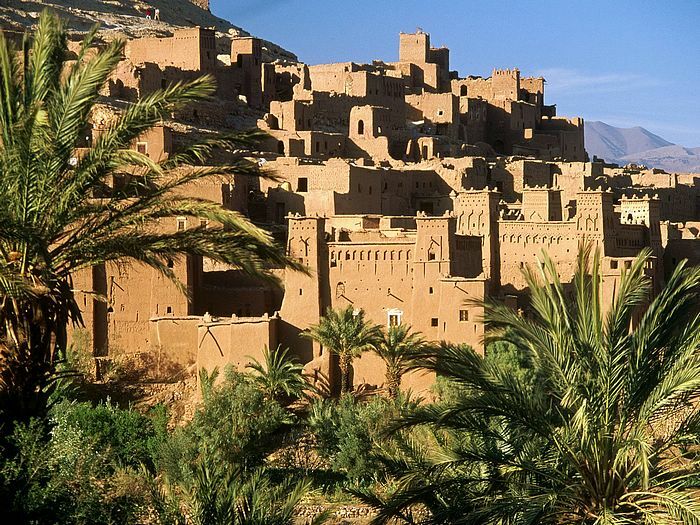 After a morning tour of Ouarzazate, including the 17th century Kasbah Taourirt, depart for Zagora through the Draa Wadi Valley, where six palm forests form a long ribbon of greenery. 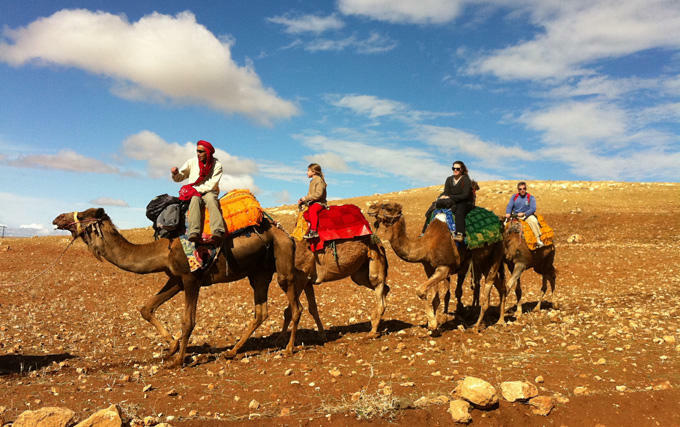 From Zagora, travel to nearby Tamegroute. Visit the ancient Koranic school library, the potter's area and the big Tinfou Dune. Return to Ouarzazate. Visit the 11th century kasbah complex of Ait Ben Haddou. Then set out for a full day drive to Taroudant, an old walled city known as Little Marrakech. • 10 days of private touring in an air-conditioned car or van, with a driver and local, licensed guides, as per the itinerary.